Although we have had a couple of very light frosts last night and the night before I just can't wait any longer and have started putting my tomatoes and related plants in trays. 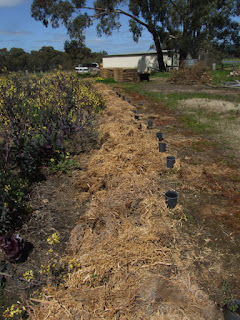 It is late this spring but with the weather I am not going to take chances on sowing too early. If you sow when the weather is right then the later plants generally catch up with the others. My broad beans all have pods on now, a bit later than usual because of the weather but that is ok.
My red flowered broad beans are really late and the pods are only just setting. At least I will get some harvest off them - I was getting worried. 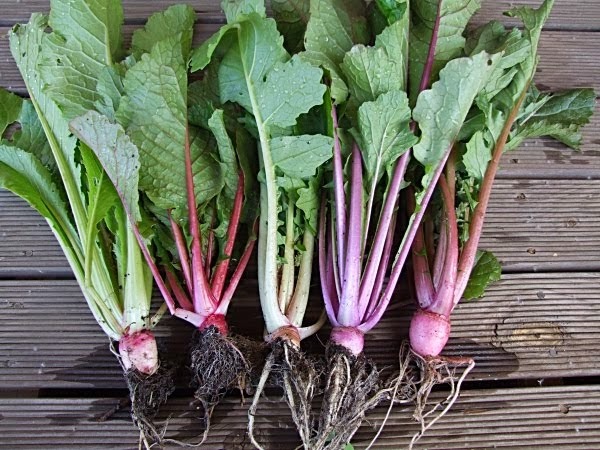 I lost a couple of varieties to the wet but most pulled through and are producing enough seed to replant next year. 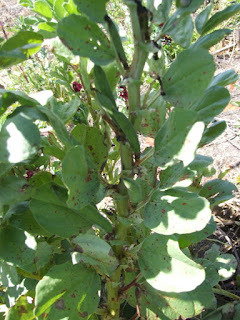 Even with the awful wet we had I have had hardly any fungal problems with the broad beans this year. 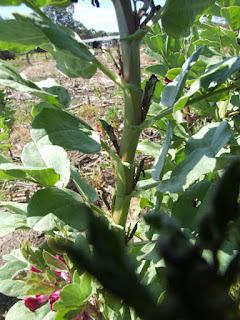 A few of the red flowered broad beans are just showing some chocolate spot now. I don't use controls on fungal diseases on my broad beans as I only want the toughest and most resistant to survive. It has really made a difference in the red flowered ones especially as when I started growing them they would succumb to every disease and now they are hardly affected. I have started planting out my oca seedlings from the past two years. I am sure this will be a good year for assessing them. I had a couple of shaded rows ready for them but it was infested with a hard-to-kill running grass that made it hell last year and I can't wait until it shoots again (to respray it) to put oca there so I will shift the row covers to the new beds before it gets hot in a month or so. I am looking forward to getting a good crop of many colours of oca next winter.